WordPress is a fantastic platform for building your own blog, portfolio, or ecommerce site. It's packed with tools to help you create a professional-looking site and monitor its performance, and you can make it even better by installing WordPress plugins to add new features. You can only install third-party plugins if you're hosting your site yourself using the software from WordPress.org. If your site is hosted on WordPress.com, you won't have a plugins menu. Yoast SEO is a WordPress plugin that offers real-time page analysis to help you optimize your pages’ content, images, titles, meta descriptions, and keywords. You can also use the plugin to tell Google not to index a page, or set of pages. And it even analyses the readability of your copy; checking the length of your sentences and paragraphs, whether you use transition words or subheadings, if you use passive voice too often, and so on. You can also use Yoast SEO to generate URLs automatically (so you don’t get penalized by Google for duplicate content), create readable XML sitemaps, and get finer control over breadcrumbs. The premium version of Yoast SEO offers more advanced features, but even the free plugin can help you make a real difference to your site's ranking. Yoast SEO is constantly updated with new releases which you can check here. WP Rocket begins at US$49 (about £37, AU$69) for an annual license for a single site. That might sound like a lot – especially when there are other caching plugins available free – but this really is a premium product where you get what you pay for. It’s very easy to set up, and can be installed and configured in just a few minutes. And that’s it – a real case of set it and forget it. Page caching is activated straight away and you should get an immediate speed boost to your site as a result. Plus, because this WordPress plugin's crawler simulates a visit to preload the cache, the indexing of your website by search engines is instantly improved. Currently in use by more than one million sites, Gravity Forms is a WordPress plugin that allows you to build complex, contact forms quickly and with ease, with no technical knowledge required. A user-friendly editor prompts you to select the fields you want to include, configure your options, and then embed the forms on your WordPress site. If you wish, you can also break up your form into multiple pages, and show a progress bar that lets users know how far they’ve got in the process. You can also schedule forms to appear and disappear at certain times; create order forms with pricing fields; and even build a form that creates user-generated WordPress posts on your site. All in all, well worth the US$59 (about £45, AU$83) price tag. This powerful, free WordPress plugin enables you to track your site’s visitors using Google Analytics’ tracking code, and view key statistics within your WordPress installation. You can use Google Analytics Dashboard for WP to generate a set of performance reports about the site’s performance as a whole, as well as that of individual pages and posts, and the information you get back is fully customizable. This WordPress plugin is fully compatible with multisite network installs, integrates with Google AdWords so you can keep track of how well your ads are converting, and supports AdSense, so you can work out which posts or pages are generating the most income. Note that you need to open a (free) Google Analytics account before you can use this plugin. The WooCommerce WordPress plugin currently powers more than 30% of online stores. First launched in 2011, it was acquired by Automattic (the company behind WordPress.com) in 2015, so its future development is clearly in safe hands. The standard, free version of WooCommerce can calculate the costs of shipping and taxes and offers the ability to accept major credit cards, PayPal, bank transfers and cash on delivery. There are also some very capable stock management tools to help you keep track of your inventory. The premium version of WooCommerce comes with more advanced tools, such as a one-page checkout, and an add-on for cart abandonment emails. There are also hundreds of add-ons and themes to extend WooCommerce’s functionality further. If you want to make your WordPress site look beautiful, you need to move beyond standard fonts and start investigating a wider range of typography. Typekit (also known as Adobe Fonts) is an Adobe service that gives you access to high quality custom fonts, and the free Typekit Fonts for WordPress allows you to use it within your site with the minimum of effort on your part. The fonts are applied to your website using the font-face standard, so you can be sure they’re web standards-compliant, fully licensed and accessible. You just need to create a free account with Typekit to get started. Unfortunately, the search functionality provided by WordPress isn’t so great. But if you want to give your own visitors a decent in-site search experience (and let’s face it, who doesn’t), there’s a great free WordPress plugin that can help you out. SearchWP offers a list of advanced search features including the indexing of post titles, descriptions and keywords, as well as PDF, Office and text document content. You can also create multiple search engines, each with their own settings; so you could, for example, create a search box solely for product searches. SearchWP lets you to give users better results by using keyword stems instead of exact term matches, so, for example, the search term ‘sing’ would return related words like ‘song’ and ‘singing’. You can even customize how results are ranked using SearchWP's weighting system. Prices start at $99 for one site for one year. If you need to present a lot of data in table form, it can be quite a pain coding it all by hand. TablePress is a Wordpress plugin that makes it easy to create and manage tables on your site without any knowledge of HTML. And best of all, it’s totally free. You can include tables in posts, pages and text widgets, and tables can be imported from Excel (XLS and XLSX), CSV, and HTML files, as well as being exported. In the Wild West world of the internet, nothing lasts forever and you never know when catastrophe may strike. So it’s important to make regular backups of anything you put online. BackUpWordPress lets you back up your entire WordPress site, including your database and all your files, on a schedule and timeframe that suits you. 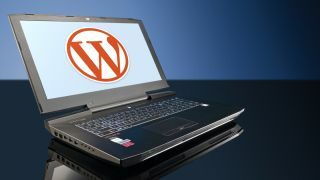 The WordPress plugin, which boasts more than 200,000 active users, works in low memory 'shared host' environments, lets you manage multiple schedules, and gives you the option to have each backup file emailed to you. You can send your backups to a wide variety of destinations, including remote FTP servers, Google Drive, DropBox, Amazon S3, Dreamhost DreamObjects, Rackspace Cloud and Microsoft Azure. Pricing starts at US$29 (about £25, AU$35) for a single-site, one year licence. If you allow comments on your WordPress site, you’ll know what a headache comment spam can cause. One way to deal with this is to enable comment moderation, but once the volume of spam reaches a certain level, there often aren’t enough hours in the day to deal with it. Created by Automattic, the company behind WordPress.com, Akismet is a WordPress plugin that automatically checks all comments and filters out the ones that look like spam for you. It works in the background and there are no settings to configure, so it’s extremely easy to pick up and run with. Of course, you can’t rely on Askimet capturing every single piece of spam, and there’s also the possibility of false positives. But by telling it when it has missed spam or identified false positives, it can learn and get better over time. Akismet is free to download but you’ll need an Akismet.com API key to use it. Keys are free for personal blogs; paid subscriptions are available for businesses and commercial sites.